We have been looking at all the different places that have visited our blog. We have now had visitors from 30 different countries. 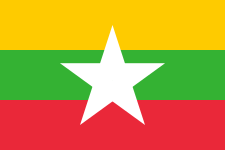 We looked at one of our recent visitors and they were from Myanmar. We found out that Myanmar is also called Burma and that it is next to Thailand. It would take about 12 hours to fly there from New Zealand. I just looked at the flag counter and someone from Belgium has visited our blog. We have had people from China and Japan. I wonder who will be next! Is it cool having visitors from myanmar.